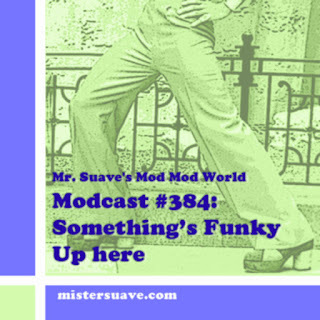 Mr. Suave's Mod Mod World: Modcast #67: Is There Trouble In Your Brain? You are now tuning into the original, best, longest running modcast on the web. This is modcast 67 featuring a few new releases, as well as some classic tracks right from wax. From the Tri-Cities in Eastern Washington, to the Netherlands, from New Orleans to Sweden, I've scoured the globe and come up with a terrific bunch of mod friendly sounds for this week's show.